I'm so excited to share with you, a gorgeous new skincare range that I've been trialling. I've been in talks with this company since the beginning of the year and it's finally come to fruition. Made with natural ingredients from New Zealand, in reusable packaging. This is a skincare collection you're going to want to check out. 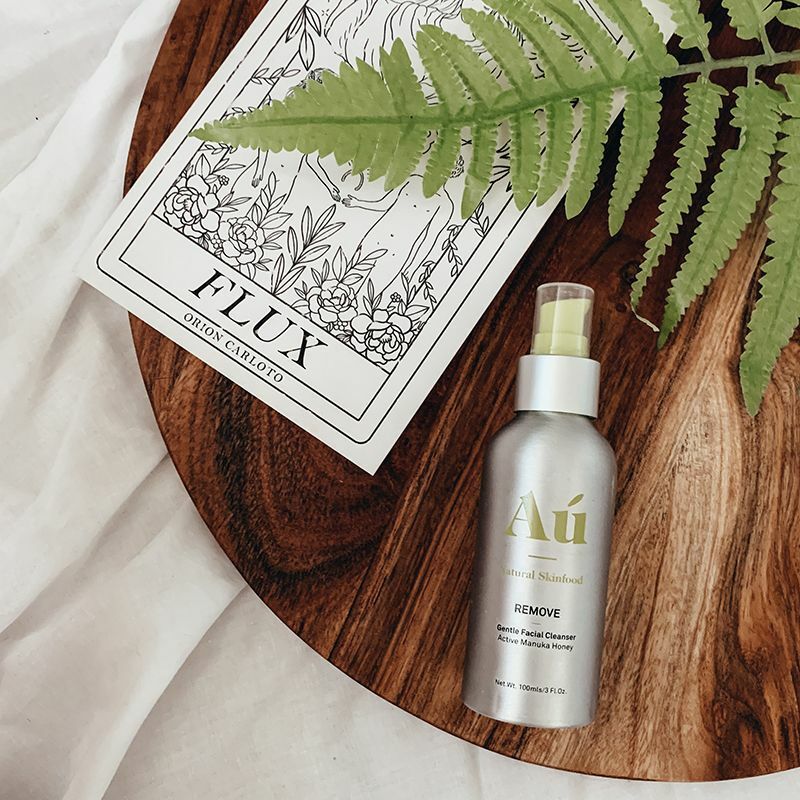 Au Natural Skinfood’s journey began back in 2016 when co-founders Tony and Tracy Ahern conceived the idea of a true end-to-end sustainable skincare solution – one that would challenge the norm of the cosmetics industry and care for the health of the environment as well as the body. Skincare and beauty packaging contributes to the devastating plastic pollution threatening our planet; the carbon footprint linked to its production is high. Whereas other skincare companies have largely ignored the packaging challenge, Tony and Tracy saw this as an opportunity for innovation with the chance to make a difference. 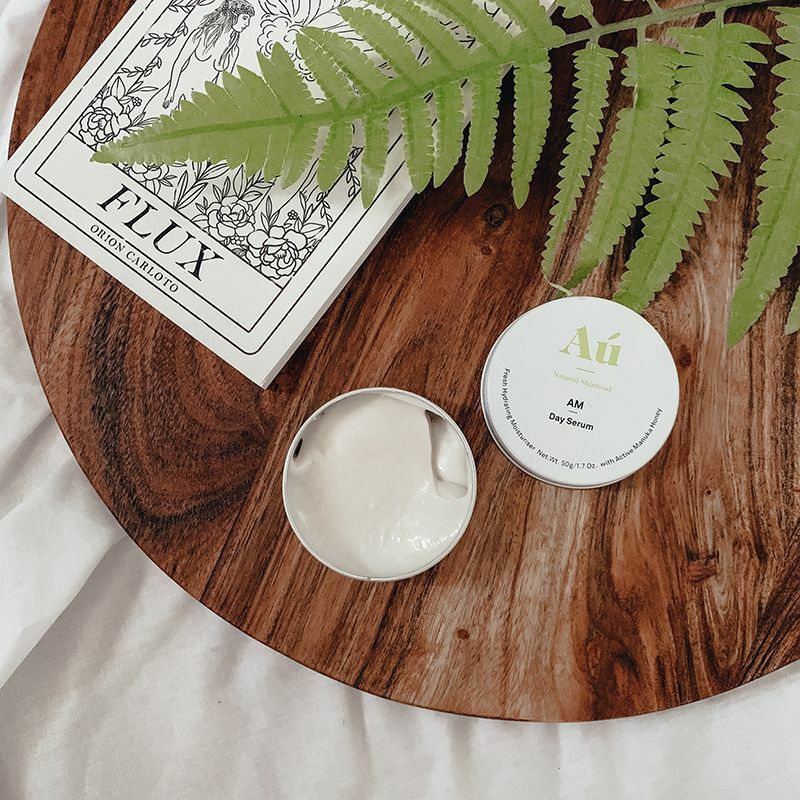 Au Natural Skinfood is a skincare subscription service that contains four high-quality daily use products that are refilled for you every month. Once you join, you're able to easily control your subscription online and cancel at any time. 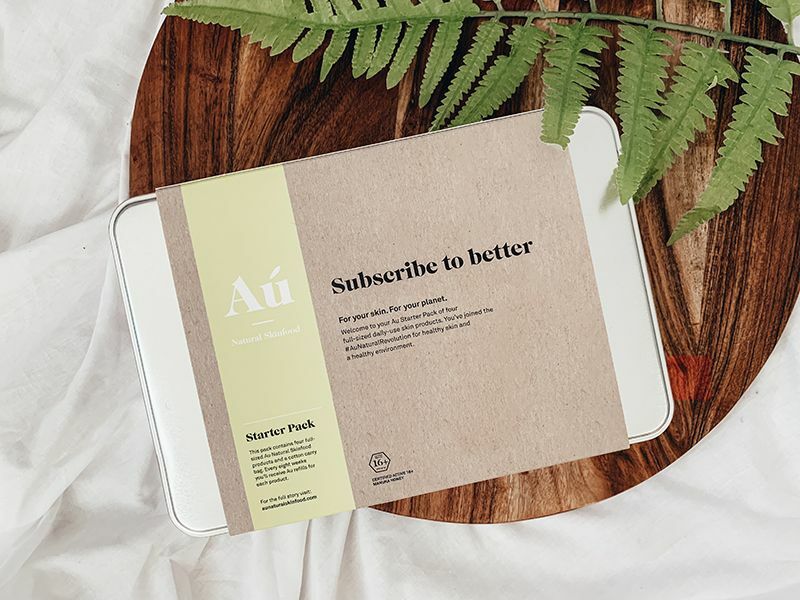 The purpose of the subscription is the refills you receive in plant-based eco-pouches. It's a great way to reduce your carbon footprint and the amount of waste that you generate at home. It's often hard to avoid the waste that comes with beauty and skincare products. The reusable aluminium bottles that you fill each month, are also recyclable when their time comes. Every year, you could be using at least 24 single-use plastic containers for your skincare routine – that’s 1,400 plastic containers over a lifetime. Au only uses four aluminium containers that you refill over and over again. 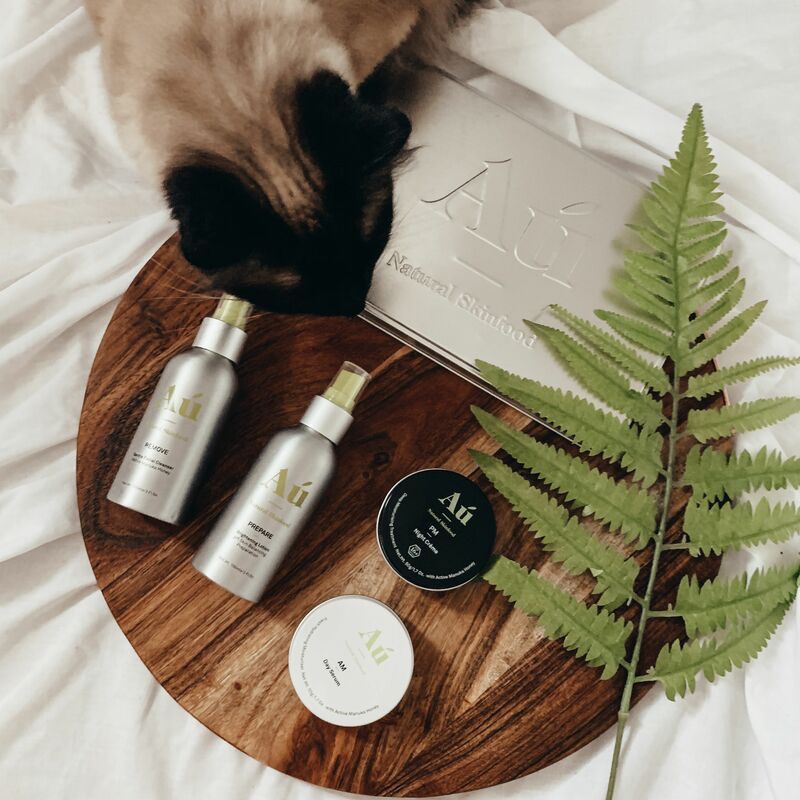 The AU Natural Skinfood products are formulated from high quality, natural ingredients that are ethically-sourced from New Zealand. The skincare product's concentrated levels of high-grade active manuka honey, bee venom, and kiwifruit extract help to firm, plump and restore your skin to health using nature’s dependability. You can trust that every skincare product from AU Natural Skinfood is of premium quality, honest and chemical free. 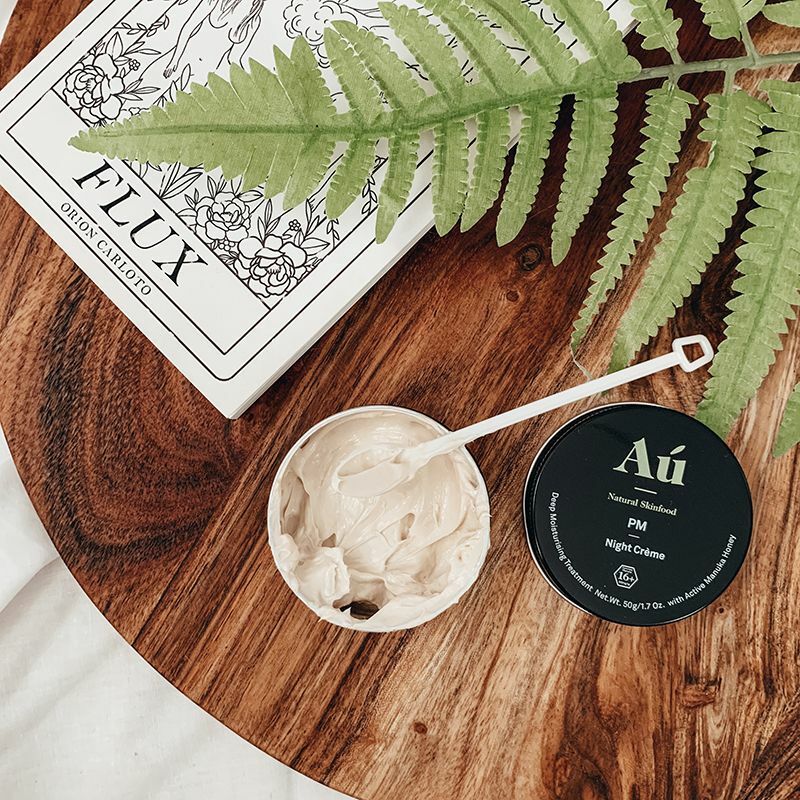 The skincare products from Au Natural Skinfood work by naturally strengthening and improving the skin and helping to increase its resistance to environmental damage, instead of just using targeted ingredients to treat specific skin conditions like acne and aging. 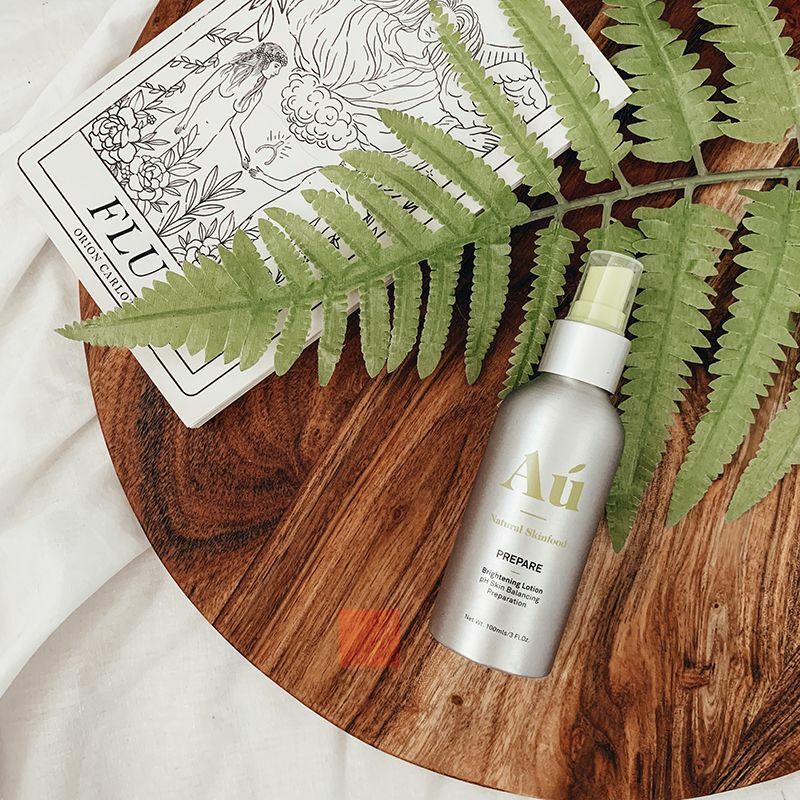 Every good skincare collection has a great cleanser behind it and the Au Natural Skinfood cleanser is no exception. This powerful yet gentle facial cleanser easily removes makeup and bad bacteria from your skin while promoting good bacteria growth in its place. The cleanser unclogs pores and helps to stimulate cell turnover, nourishing your skin and maintaining a low pH balance. The product is light and creamy and you only require a small amount for each cleanse of your face. The second step in your Au Natural Skinfood skincare treatment is the brightening toner & lotion. This invigorating and pH balancing skin lotion gently removes every last trace of cleanser and any surface debris. It hydrates your skin and reduces pore size. Filled with ingredients that are rich in natural antioxidants, its calming and antibacterial properties assist in strengthening and protecting your skin, lightening and tightening, as well as improving your skin’s health and overall appearance. The Au Natural Skinfood Day Serum is a fast-acting all-day moisturiser that uses a combination of Active 16+ Manuka honey and powerful antioxidants to nourish, strengthen and protect your skin. The serum aids in maintaining your skin's natural pH balance and helps in improving its overall health. It works on improving your skin’s appearance by lifting, tightening, firming and smoothing. I wore this product directly underneath my daily foundation with absolutely no dramas or negative effects. The product is thick and creamy but dries nice and firm on the skin. The final step in the skincare routine, the Night Creme. It should be applied after cleansing and toning in the evening. This deeply moisturising and hydrating night crème contains Active 16+ Manuka honey and pure bee venom working to nourish your skin and support skin cell regeneration as you sleep. It lifts, plumps, tightens and firms the skin, evening out skin tone and brightening dull skin. Scoop a pea-sized amount of the night creme out of the container and dot it across your face before massaging it in. After you gently massage it into your skin you will probably feel a bit tingly and numb which would be due to the bee venom. There was a possibility of some redness due to this but I didn't experience any, and my skin was left feeling smooth and tight. 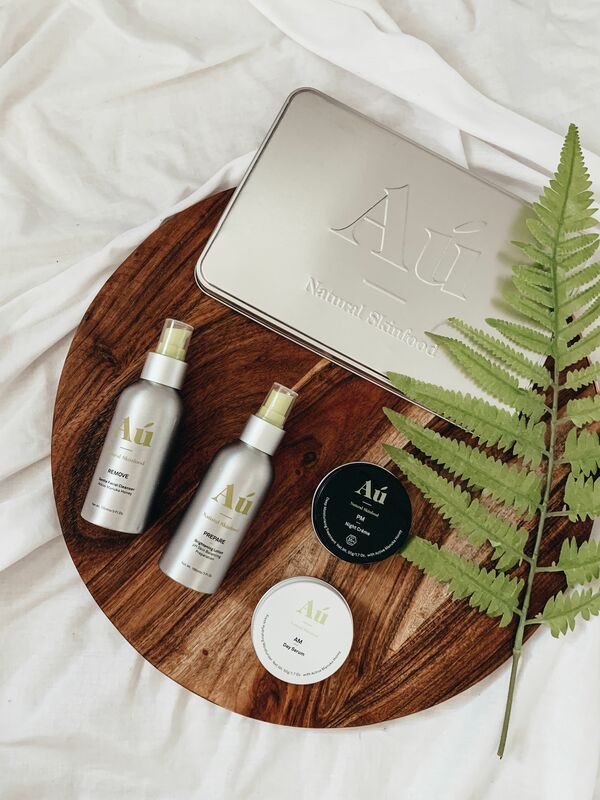 Joining Au Natural is easy – simply visit the Shop, select the Essential Monthly Plan, and choose a membership that suits your budget. If you select the Trial option, you'll receive your Discovery Kit, with a 14-day supply of product for you to try, risk-free for only $14.95. By subscribing to Au you’re also taking an active part in an industry-leading sustainability initiative to reduce waste and help care for the environment.